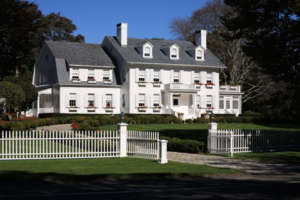 The Hamptons, located on the Atlantic coast, is arguably the East Coast’s most luxurious summer retreat where the largest concentration of esteemed families in the world flock via private car or private aircraft to escape the summer heat and the hustle-and-bustle of the city. The Hamptons boast high-end shopping, exclusive restaurants, an extensive arts community, as well as countless outdoor activities such as polo, surfing and biking. Hamptons families—and the families who summer there—know the value of comfort and relaxation. Recruiting and retaining well-trained, experienced household staff is a key element in the maintenance of such a lifestyle. For more than 50 years, Pavillion Agency has provided an unmatched level of domestic staffing services that respected families in the Hamptons have come to rely on. What sets Pavillion apart? We are a one-stop shop for household staffing solutions. Our agency offers job placement services (permanent, temporary, or temp-to-perm), payroll processing, benefits consultation, and in-home staff training. Let us show you the Pavillion Agency difference!